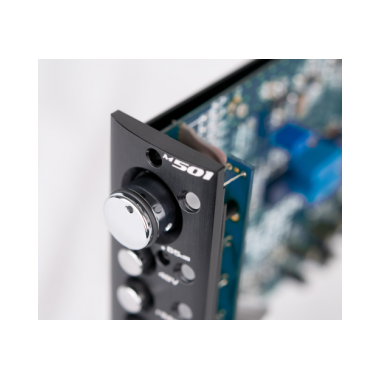 Presenting the m501, our 500 series module version of the venerable m101 mic preamplifier. 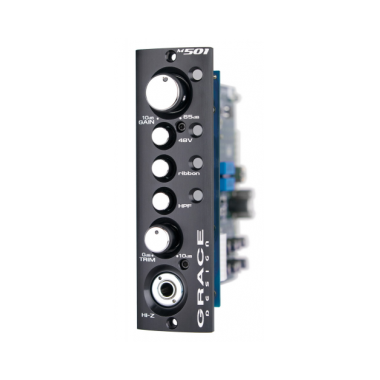 Now the signature transparency and detail of our circuit designs is available for your 500 series collection. 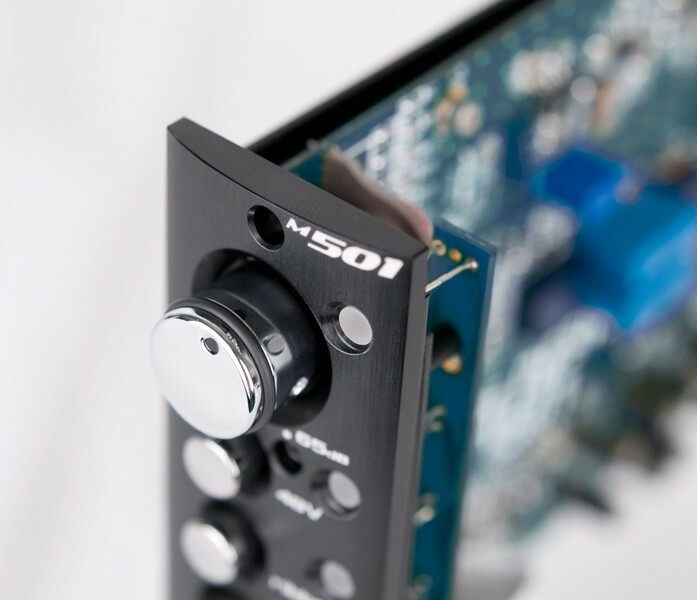 While the 500 series market has plenty of colored mic preamplifier options, the natural, musical clarity of the m501 makes it a welcome addition to the field. This circuit is for engineers confident with the quality of the source, mic section and placement, and wish to capture it with as little coloration or distortion as possible. 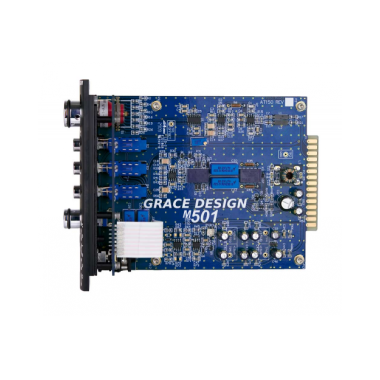 The m501 module is a balanced, transformerles design, with 48V phantom, a 75Hz HPF and a 1/4” HI-Z instrument input. 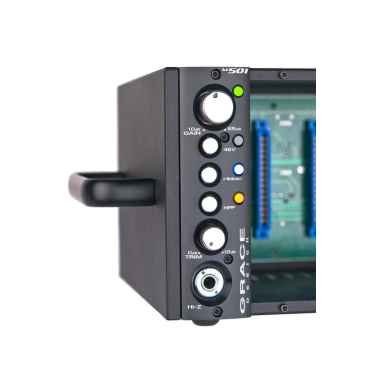 Also standard is our exclusive ribbon mic mode, which raises the mic input impedance, bypasses the input decoupling capacitors and deactivates 48V phantom to protect delicate ribbon mics from damage. Large diaphragm, vintage ribbon or trusty dynamic - the m501 brings out the very best in any microphone and takes the guesswork out of your input chain. We are a family owned and operated company. 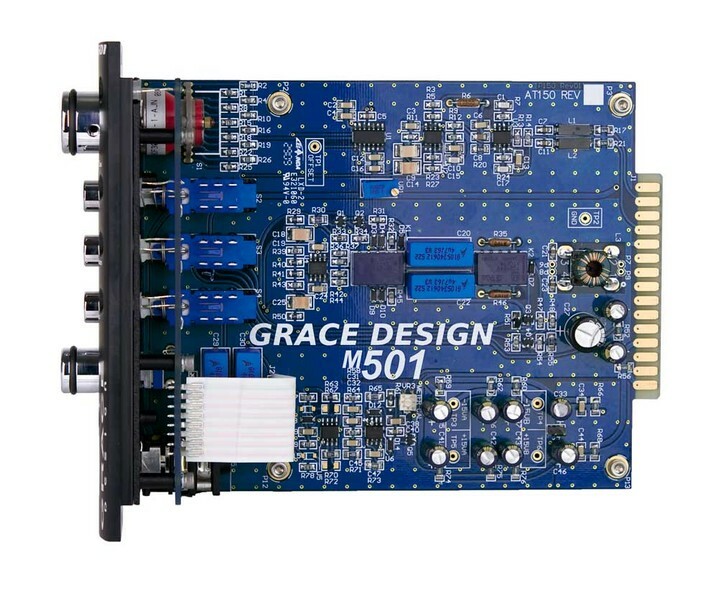 Founded by brothers Michael and Eben Grace in the early 90's, we have grown steadily into a globally recognized professional and consumer audio brand, known for superlative audio performance, reliability and great customer service. True quality is our underlying obsession. We design products to perform beautifully, to be simple to use and to last a very long time. 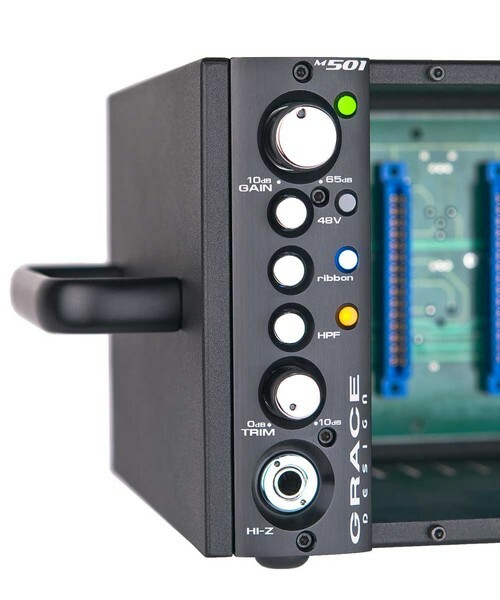 If you are curious about the quality of our gear, simply look at how we back it up: the unrivaled EON 20 year warranty on most analog only models and a standard 5 year warranty on everything else. We strive to ensure our products remain useful and out of the landfill for many years. We are in Lyons, Colorado, a small town nestled in the foothills of the Rocky Mountains. Our shop sits on an acre surrounded by orchards and small farms. Lyons is a friendly community of musicians, artists, families and professionals. We love it here and know you would too, so come visit us anytime!